This is the second week in a row where I just have no idea what to make of Inuyashiki. Just what IS this showing trying to do here? What is the point of all the violence, gore and other stuff that this show depicts. 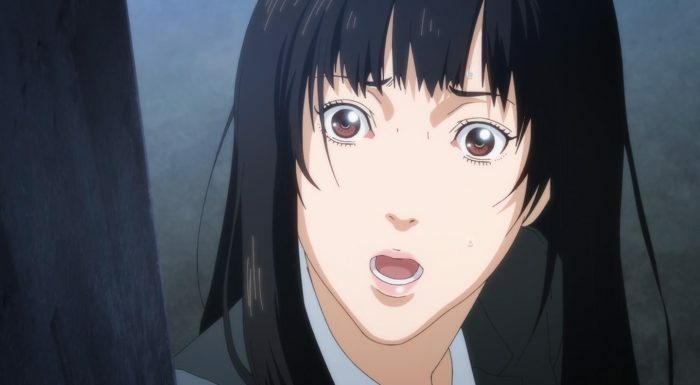 If you were expecting Inuyashiki to start making a bit more sense as it gets closer towards the end, then well… I think you’re going to be disappointed again this week. If nothing else, the one thing that continues to baffle me about Inuyashiki is how the story just goes off on weird tangents and delays any sort of momentum it COULD have. This week, we pick up from last week’s cliffhanger, but the resolution to it all is pretty non-consequential in the grand scheme of things. Hiro takes out the latest SAT member squad that’s been sent to ice him, and is even able to save Shion and her grand mother. 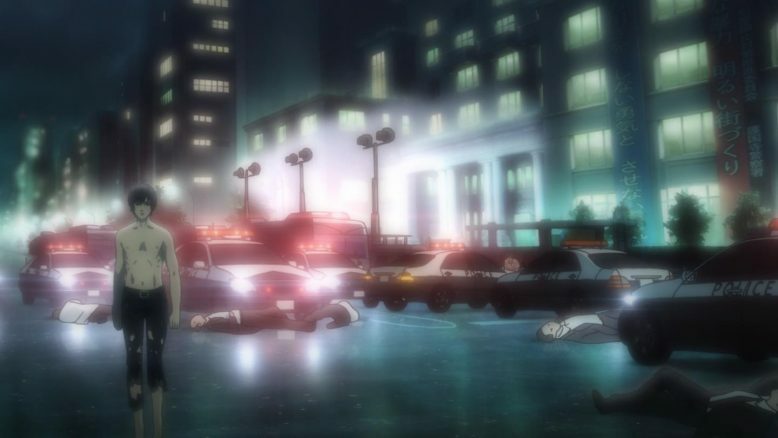 My original thought was that Shion was going to die here, and that Shishigami Hiro would just completely lose it, but surprisingly that’s not the case. That, at the very least, is a positive in my book, because that adds SOME degree of unpredictability to the show. With Shion and Oba-chan pretty much okay, There’s no real danger of Hiro going off and slaughtering the entire human race. The focus, instead, is more or less on slaughtering the police force. It seems that Hiro has transitioned away from being a flat out power hungery serial killer, to just being someone who kills those who continue to pursue him. 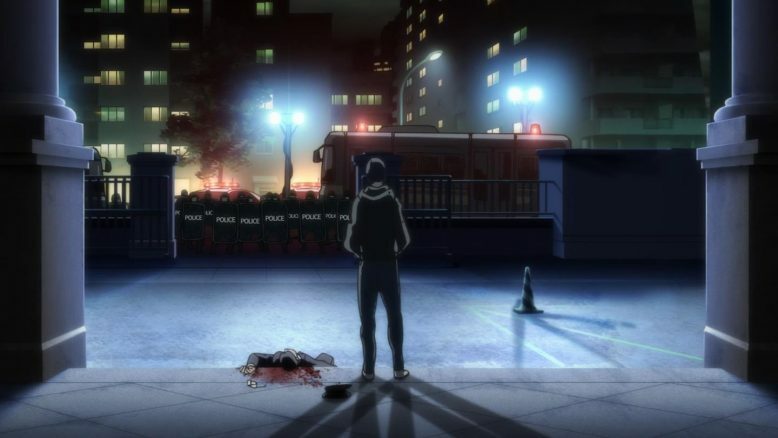 In this case, the Japanese police has made it their mission to hunt him down, so Hiro has more or less decided to take them out and pull them off the board. And its not like Hiro CAN’T do it, because the series has more or less established that he can. The scenes where Hiro goes in and basically massacres an entire police station are, in word, pointless then. 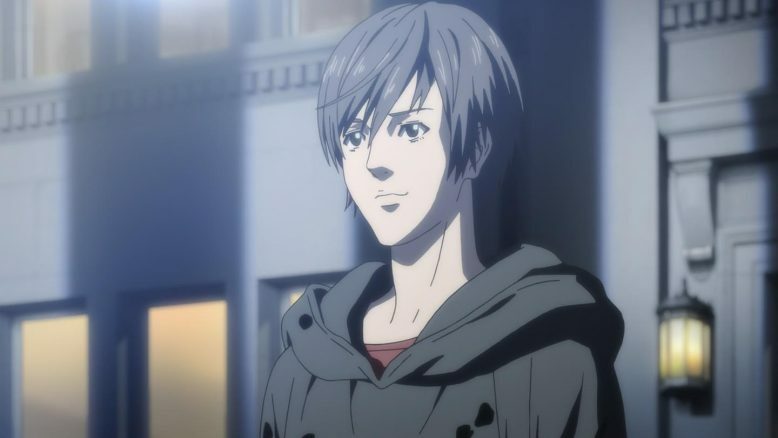 I’d see the point to that particular scene if we had Inuyashiki suddenly appear and confront Hiro, but even our so called hero doesn’t exactly do that. Its unclear why Inuyashiki decides to avoid going out to confront Hiro. Is he worried about his anonymity? Its doubtful given how selfless he is. The only reason that I can think of then, is that Inuyashiki realizes that perhaps, he’s not ready to take on Hiro yet. Which, I think, could be a reasonable explanation, except for the fact that the show doesn’t actually give that explanation, or any other for that matter. 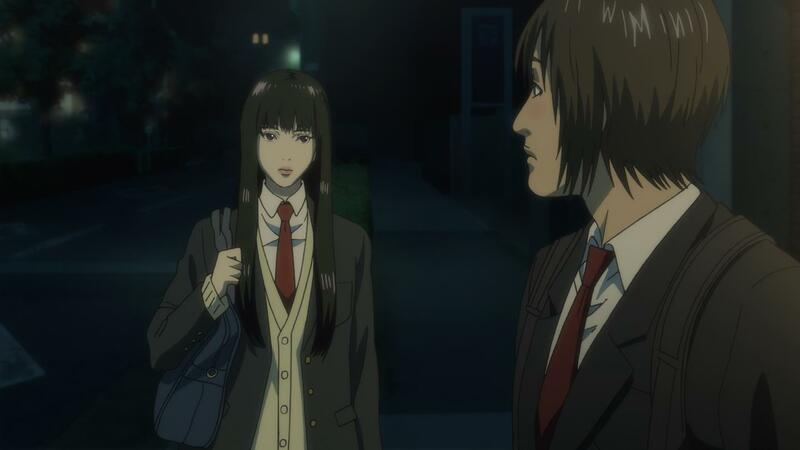 Instead, the show is a lot more interested in focusing on Inuyashiki’s daughter, Mari. The whole subplot about Mari is just… Really weird. She discovers her father’s true identity, and yet she almost ignores it? Because? Well, we’re never told. Instead, the show puts focus on Mari’s dream, which is to become a mangaka and show up her neighbor’s son (who’s incidentally named Oda). 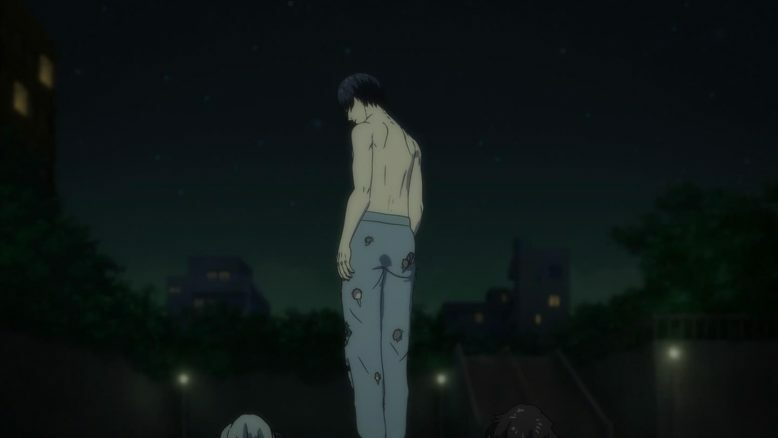 We get a nice little scene with Mari basically being supported by her dad, but beyond that, there’s nothing all too important about this whole subplot in particular. Its because of scenes like the Mari one, that I really do wonder about the true purpose of Inuyashiki. Is Inuyashiki just a canvas for mangaka Hiroya Oku to bring to life whatever it is that he wants to? We’ve seen internet trolls get iced, we’ve seen cancer patients get healed, we seen the nosey reporters get murdered, and now we have the police being massacred and a little jab at the most popular mangaka of the current era? I mean, at some point, all these things just add up to self-satisfaction more than anything else. I’m not saying Inuyashiki is a self-satisfaction piece of fiction, but damn if there’s not evidence to support that theory. Especially with regards to Hiro and the police. I mean, if one were to have the opinion that the police is inept and incapable of seeing the big picture, than the whole Hiro mascaraing and “winning” against them scene takes on a whole new meaning. And amidst all this, there’s also talk of a huge asteroid about to hit the earth. Is this the macguffin that’s intended to make Hiro and Ichiro both put aside their differences and work together? I’m not sure. I could hazard a guess, but I think Inuyashiki is just so off the cuff, that its difficult to get a read on this series. 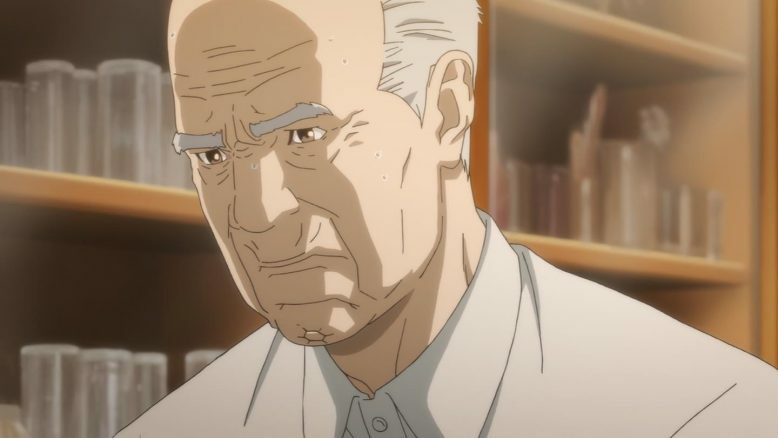 The fact that I’m 8 episodes in, nearing the end, and have no idea what the end game actually is, says a lot about the kind of experience Inuyashiki is. At this point, I wonder if the the mangaka and story itself knew what the end direction actually was? Is it a big face off between Hiro and Ichiro? Or is the show going to have these odd and unique humans turned machine people save the rest of humanity? I’m not sure, and I guess I’m holding off judging Inuyashiki as a series, and this episode even, until I know more. If Inuyashiki ends up surprising me in some meaningful or interesting way by the end, then I’ll be all for this. Otherwise, I guess, there will just end up being a lot of untapped potential and a lot of weird ideas that this series just never fully used.